The thrill a performer feels when the crowd goes wild at a SOLD OUT Red Rocks as they play a song they created has got to be one of the greatest feelings this world has to offer. It certainly seemed this way based on the reactions from stage when Gramatik returned to Red Rocks. The weather was perfect with no clouds in sight, and it felt like we were hit with surprise after surprise up until the very last minute of the show. 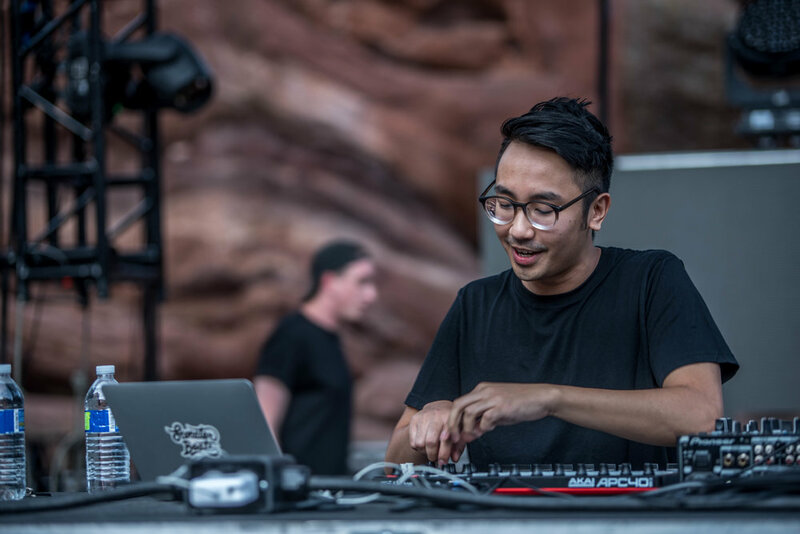 We arrived at the venue to the beats of Geek x VRV, who made their first appearance at Red Rocks this past Friday. This electronic duo from Paris, France has been making explosive progress in the past year leading up to this show. 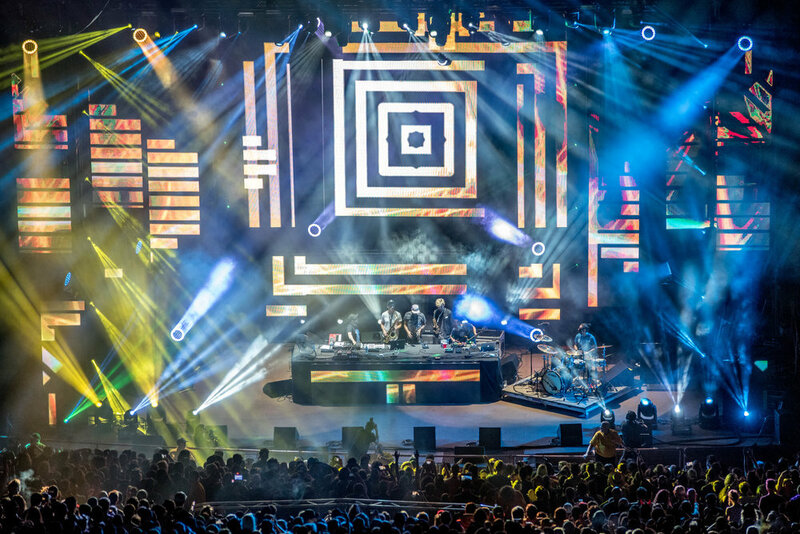 Consisting of Axel Rondeau and Vincent Teoule, this duo has catapulted into the spotlight, opening gigs for heavyweights like Pretty Lights, Gramatik, Dillon Francis, and Griz. Make sure to keep an eye out for the next time they come through town again, they’re definitely worth the time if you're looking for a good electronic show. Next on the scene was Filipino music producer Antonio Cuna – better known by his stage name Sweater Beats. He did a great job keeping the crowd pumped during his Red Rocks debut with songs like “Cloud City” and “Do It For Me”. Cuna also played an awesome remix of “Where Is My Mind” by The Pixies that had everyone singing along with their hands in the air. 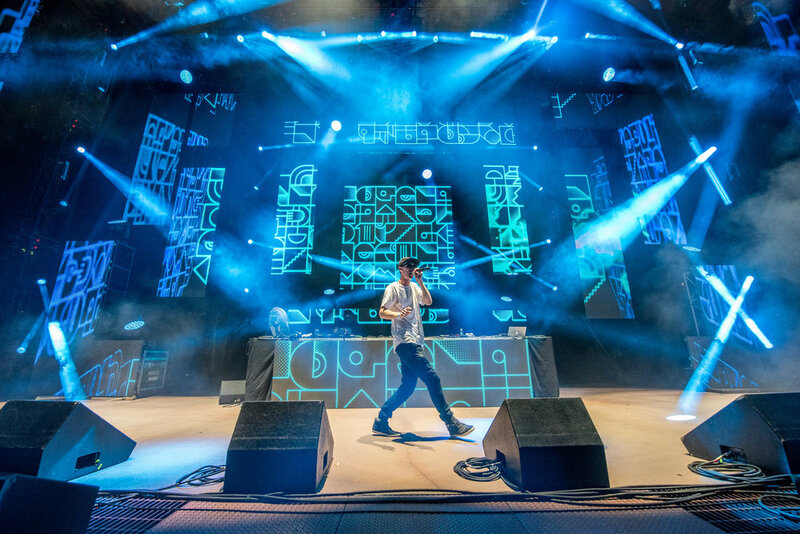 It was easy to see why Gramatik would add Hippie Sabotage to the already stacked lineup of openers for the evening. When most people think of trap music, they think of colossal, drop-filled beats with aggressive energy that forces everyone to dance – brothers Kevin and Jeff Saurer from Sacramento CA create just that! Jeff Saurer stayed behind the turn tables for most of the set while Kevin Saurer made his way into the first few rows to rage with the fans. Taking selfies, dowsing the crowd with water bottles, and even hitting a pipe one of the kids had, the duo interacted with the audience much more than most electronic acts would (we think that was pretty cool of them). Their remix of Tove Lo’s song “Stay High” was a perfect way to bring their set to a close as it was a little slower than the rest of their songs, but it was the one the crowd obviously wanted to hear most. Gramatik finally jumped on stage around 9:30 and he dove right into the music in full force. He had Chicago’s own Colin Grimm aka ProbCause (who is featured on “Epigram”) join him on stage to rap for the song “Back To The Future." This rapper from Evanston meshes intelligent lyrics at an incredible speed with perfect timing. Gramatik also had guitarist Andrew Block playing alongside him throughout the show, laying down killer guitar solos that you don't often see at electronic shows these days. 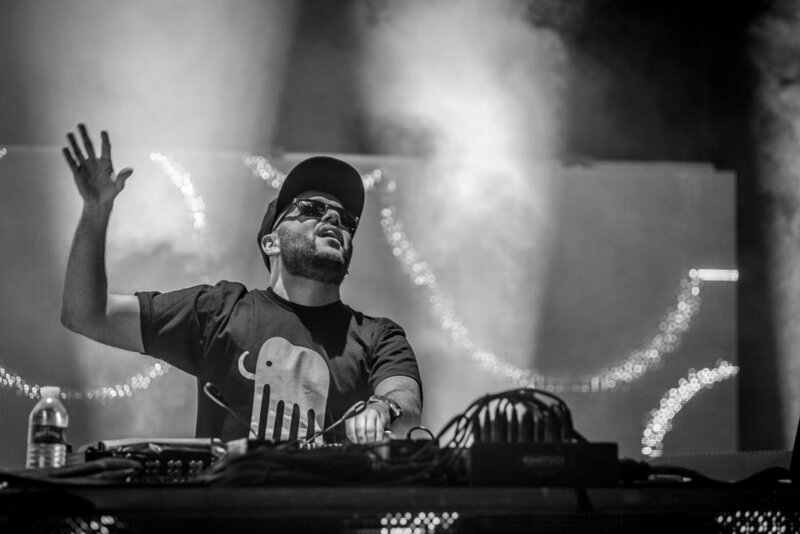 A few songs into the set, Gramatik announced he was going to play a new song: No one could have foreseen the magnitude of the song we were about to hear. We’re still not sure of the song title, but we do know that its a massive collaboration with the insanely talented blues musician Gary Clark Jr., and Tom Morello from Rage Against The Machine! WHAT?! Wait, no wait, your kidding...he didn't just say what I think he did...did he?